Club Penguin Cheats by Mimo777 Club Penguin Cheats by Mimo777: Club Penguin Water Card-Jitsu Proof? Remember when I told you Card-Jitsu Water should be here sometime next month! 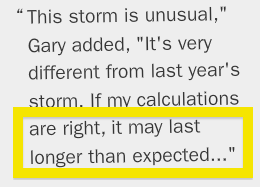 (If not, click here) Did you notice in the Club PenguinTimes this week, Gary the Gadget Guy said the storm that will be here for Halloween may "last longer than expected." Hmmm, there is only one explanation for a storm may last longer... Card-Jitsu Water! Woot! Well it might be that after halloween, the storm turns out to be a rain cloud and starts raining, which triggers the water dojo. I think you're right mimo! In fact that's what I thought since I knew about the storm! I was thinking some similar! I think the storm will have something to do with the water dojo! Sadly, the bug is back again. I was thinking exactly the same thing! It's like you stole my thoughts....which is kinda freaky. Yeah, I was thinking that might happen. Sounds radical! How do you forward a comment? o m g i have been whating for this moment!!!!!!!!! Mimo, since your freiendly with club pegnuin, why don't you ask if they can give you any hints about card jitsu water? This just in the igloo submitting has been fixed so if you want to submit it do it now while its working! Simply select the comment you want to "forward", and either press CTRL-C or Right Click and Copy. Then go to the "Leave your comment" text box and right-click and paste, or CTRL-V.
there must be a blizzard up next for sure!!! Hmmm, great theory. We'll have to see what happens! Yeah, I know. I've already entered my igloo. Yeah I agree with your theory. Also notice in the picture that Gary is looking at the water, or at least facing the water. Possible clue alert? I seriously can't think of any other reason that the storm would stick around. That's all for now! Ok... time for a rant. About membership on Club penguin. Ok what is member-only... lets see... clothing, igloo stuff, game levels, party rooms, party items, most stamps, puffles, fire ninja stuff, water ninja stuff, and probably some stuff I forgot. Doesn't it seem a bit unfair to nonmembers? And yeah, I know that the money from membership goes into computer programming, and fixing bugs, and stuff. But basically, can't they have more stuff for everyone? And they don't even make new free items! It's the same old miners hat, wizards hat, santa hat. BOORING! That's all for now. oh yeah, him. lol. I mean U Know No. I saw his comment on the last post. Do you think the place for the Water Dojo is the Waterfall next to the volcano in the backround when you enter the Dojo Courtyard? It seams like the Water Dojo is hidden. lol. Now, November is coming, and then it's like presto! There is the Water Dojo! I'm sorry I havent modded all of today. My computer wasn't working, but my dad fixed it! Woohoo! Water ninja here I- Oh wait! I'm not even a fire ninja TT.TT Oh, well. I better start practicing! Wait, I just realised something. Isn't there a storm every year? So, maybe this is just the Halloween storm. When the fire dojo came out, wasn't the sky like a sunset all around Club Penguin? Maybe this year will be rain. And next year snow for snow jitsu! Its back again? Aw man! Hmm... vYeah! Maybe the waterfall overflows and then the path to the water temple is opened! Nice idea! Ooo! That would be AWESOME. I don't think a water party would be in the middle of fall, but why not? lol. Thanks for letting us know from that game! Oooh! Another Pool Party would totally rock the island! Actually, I hope it doesn't because that would lead to a major earthquake. A pool party would totally be awesome though! Oops, sorry. I keep forgetting to put Hopeful after my mod comments. Sorry! You can't forward a comment. Sorry. But if you mean like this, then you just make a line. Then write your response. Hope this helps! I think you got it right! Thanks for your thoughts! Good point Mimo. That reminds me that time when the stamps hadn't came out! I thought that might it mean the stamp on the mail might change!! 1.The Dojo in Club Penguin was found November 2008! 2.Card Jitsu Fire was opened November 2009! 3.Card Jitsu Water is opening this year in November! 4.Card Jitsu Ice is opening next year-November 2011! Well I am not sure for the Ice Jitsu but I am 100% sure for Water Jitsu! ok so when you have on only the purple hoodie and you wave there is a glitch.it makes your penguin all funny and stuff.try it! This is an awesome theory! I would love the water party to return! It would be interesting to see a blizzard in club penguin! There are blizzard wizard costumes in the catalog so maybe a blizzard will also come as well as the storm! They usually give him hints and stuff in his email anyway without him asking. He might get something without us knowing. Hmmmmm! I'm not really sure if the sea has got anything to do with it. But I think that card jitsu water is the only reason it would stick around aswell. I think they need more for non-members aswell! I think it will be the waterfall aswell! Actually there hasn't been a storm every year. They used to be eclipses but then one year a storm came and battered up the dojo. The dojo was fixed and we had to dig it out and we met sensei who brought out card jitsu. Then the next year a storm came again and triggered the fire dojo. I think this will happen again. Wow! Thanks! I am really really touched! the contest bug is back again and ive already entered my igloo twice while it said holiday party. is it ok to enter again when the glitch is fixed or have my pevious enteries gone to the halloween contest, not the holiday one. well i think the glitch with the blizzard server tells us that there will be a blizzard after halloween.then the water dojo appears at the right side of the ninja hideout. i have thought about the blizzard sever and club penguin would of fixed it by now. thanks for helping me mimo. card jitsu water should come out on the 18th nov.
maybe there will be a snow ninja! maybe club penguin will be under the snow! Good point Mimo. That reminds me of that time when the stamps hadn't come out! I thought might it mean the stamp on the mail might change!! I understand that you would like to be able to trade your items with other penguins on the island! This is a very interesting idea. I'm sure that penguins all over this 'icy-island' would be very excited to trade their items with their penguin pals! I will be sure to pass your idea onto the penguins in charge for further consideration; however, I can't make any guarantees. Be sure to keep your flippers crossed! If you have anymore ideas or questions, please feel free to contact our support team at anytime. Do you think there will be tradings in this cpenguin? I'm sorry I posted that above, I thought I was replying to a comment saying that the bug was back! Oops! Well, now it's like the Water and Snow Dojos are hidden, but soon it's gonna come out! Hm. Looks like most people figured it out! Keep modding! Well, ain't bugs annoying? Don't you think so? Well, we have too wait and see. lol. Plus, this year's storm is longer than the Halloween party! So yeah, like I said, wait and see. Well isn't that sort of weird? I mean like seriously. The whole island is made out of snow! How about a blizzard? How does that sound? p.s. sorry this is so long. lol. I need too tell you something! PPS. Please give me credit! P.S. Please give me credit! That's the yellow puffle that lives there. Whenever you pull the yellow lever or just wait, it will appear and do an action relevent to the play. i know what its like cause when i got on club penguin(first day)it said its for members only. I have now got two URL's so choose any. You are quite unimaginative, aren't you. Think outside the box. It is probably for a new party in November like one about one of Gary's latest creation. i think this will happen for card-jitsu ice, so there is usually a storm every hallowean party, right? So if i am correct i think that the storm next year could spawn a blizzard which could create the ice dojo. mimo, u know some people have ideas about the ice dojo, but i think that they actlely wrong, because haven't u seen the mountains behind the volcano and the waterfall so all u people who's idea was a blizzard for the ice dojo.